To conclude the fashion week posts, I thought I'd share what I wore. Fashion week is this weird hybrid of a business meeting, a competitive school mufti-day and one of the coolest parties you've ever been to. So what do you wear to a thing like that? For fashion week, you want to wear something fun, definitely, but it also has to be practical. I've learnt there is no point in running around London in painful heels or shivering outside a venue in a summer coat. 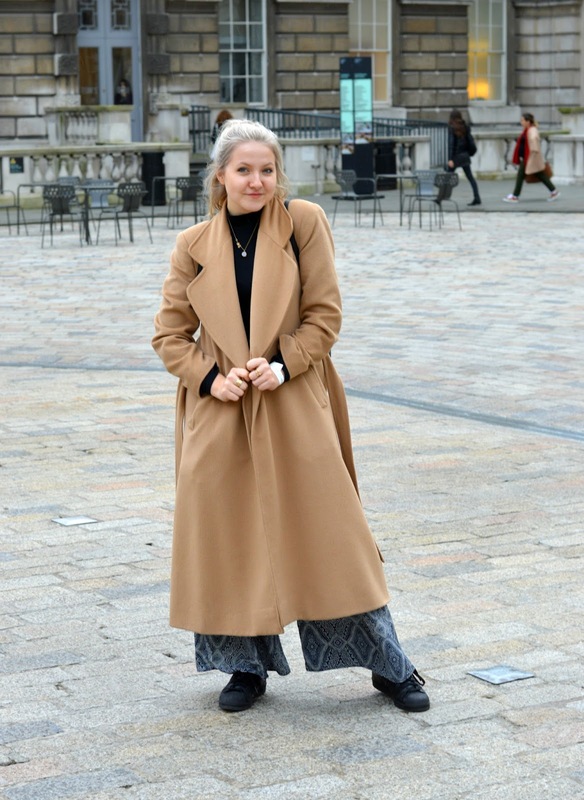 This season, I got it just right with my favourite '70s wide leg trousers, which are essentially tailored pyjamas, and this incredible coat I stole from my mother's wardrobe. Obnoxious sunglasses are a necessity and a confidence booster. The executive pony-tail was another pleasing addition to my ensemble. 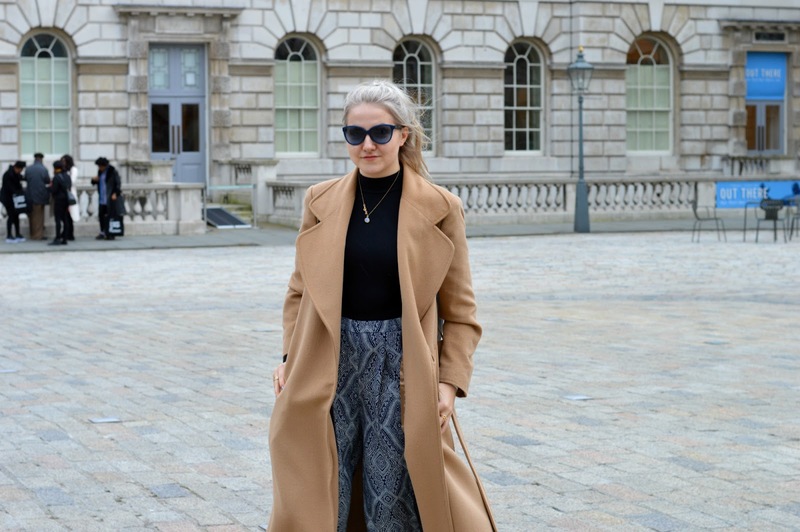 If you haven't already seen my vlog of London Fashion Week, you check it out HERE. In other news, it's my 16th birthday tomorrow which is terrifying and satisfying in equal measure. I'll see you on the other side. I loved the outfit and vlog! and also love how your outfit looks sort of casual but also put-together at the same time.